The Severalnines team is pleased to announce the release of ClusterControl 1.2.3. This release contains new key features along with performance improvements and bug fixes. We have outlined some of the key features below. Cloning of Galera Clusters: This feature allows you to create, in one click, an exact copy of your Galera Cluster onto a new set of hosts. The most common use case for cloning a deployment is for setting up a staging deployment for further development and test. Cloning is a ‘hot’ procedure and does not affect the operations of the source cluster. Deployment of HAProxy with Keepalived and VIP: Database clusters are typically fronted by load balancers, and deploying HAProxy is now a one-click operation from the ClusterControl dashboard. 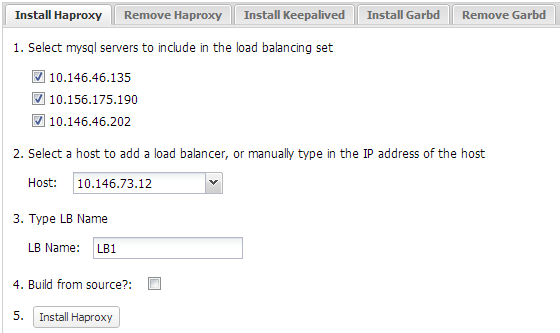 Additional features include IP failover setup using a VIP for HAProxy instances with Keepalived. Centralized Backups for Galera clusters: Backups can be scheduled on any of the nodes in a Galera cluster, and these are now streamed to the ClusterControl server for storage. User Defined Dashboards: The user interface has undergone major changes to enhance usability. 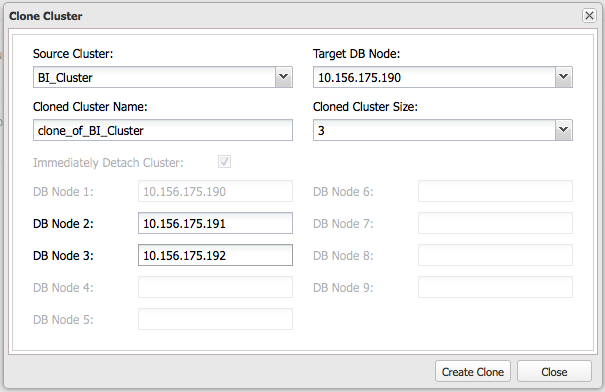 Users can customize the graphs shown on their cluster dashboard. Graphs are correlated, so users can compare graphed execution parameters such as cluster load, CPU usage, network and disk activity, against the queries that were being executed by the cluster at that time. Start/Stop/Rebuild of MySQL Replication slave for MySQL 5.6: The MySQL Replication configurator now sets up a replication cluster based on MySQL 5.6. The recovery protocols in ClusterControl makes use of the latest replication improvements, including Global Transaction Identifiers (GTIDs). [MongoDB] Support for single Replica Set: You can now use the MongoDB Configurator to deploy a single Replica Set, and then manage it using ClusterControl. You can also install ClusterControl to manage an existing MongoDB Replica Set. [MongoDB] Cluster Backups with mongodump: This is a consolidated way of performing a cluster backup, and includes meta data from the mongos and actual data stored in each shard. Backups can be easily scheduled via the ClusterControl UI. [MongoDB] TokuMX engine for MongoDB: TokuMX is a modified version of MongoDB, where all storage code including B-tree indexes have been replaced with Fractal Tree indexes. Fractal Trees deliver consistently high performance under varying conditions, e.g., when data grows much larger than memory or is updated frequently. B-tree indexes tend to get fragmented over time, and perform poorly when data does not fit in memory anymore. We encourage you to provide feedback and testing. Thank you for your ongoing support, and happy clustering!